The Walking Dead creator Robert Kirkman says the comic and show will end differently because he doesn’t want the show’s final scene to spoil his final panel. On AMC’s Geeking Out with Kevin Smith, Kirkman discussed how he’s already got a planned ending for The Walking Dead comics, but he’s not sharing it with showrunner Scott Gimple. That’s mainly because he wants the comics to continue long after the show is over, and doesn’t want the show to take away from the comic series’ ending by doing it first. Kirkman added that he’ll work with Gimple on an ending for the show, but is going to feign ignorance so none of his original ideas are spoiled. “If the show were to ever end, ever, at any point and the comic was still going, I would have to sit down with Scott and pretend I have no idea how to end it, and then work with him to try and come up with a new ending,” Kirkman said. It’s not surprising that Kirkman wants to keep the comic book series ending for himself. He was critical of George RR Martin’s decision to tell the Game of Thrones showrunners how he plans to end A Song of Ice and Fire. While it means the show and books will have some manner of cohesion going into the final season, it also means that book fans will already know how everything wraps up before they have a chance to read the final pages. Right now, there doesn’t seem to be an end in sight for the successful but sometimes shambling zombie series. Season 6 hasn’t even started, with the “who did Negan kill?” cliffhanger hanging over all of our heads, and AMC’s already renewed for a seventh season. There’s also Fear The Walking Dead, Chris Hardwick’s panel show The Talking Dead, and probably a year’s supply of podcasts on iTunes. For all we know, the show could just keep going until everyone is dead— or even undead. Corpse Rick, anyone? The Walking Dead returns October 23. 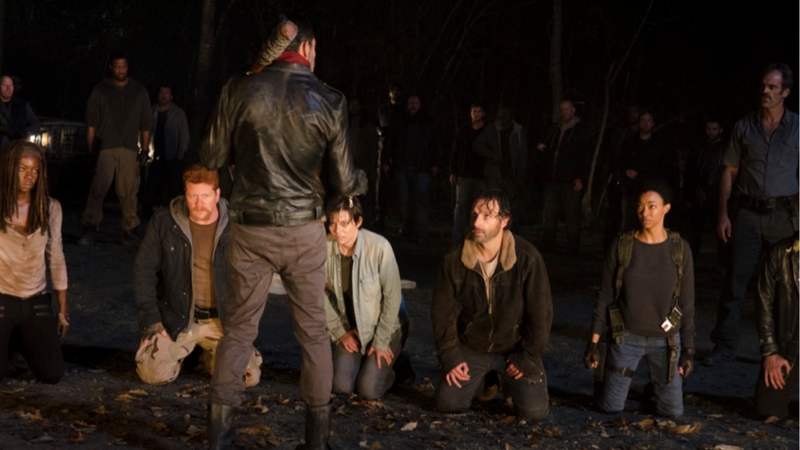 Open Channel: How "Much Worse" Can Things Get on The Walking Dead?